I want you to not have to worry, and to be super stoked on the gift that you give knowing that it is going to be accepted. Again, not the funnest thing to buy, but your man will love you. My tip here would be to check what kind of External Hard drive she already has and buy the same one. People are very particular with their hard drives, so this one can be tricky. If he doesn’t already have an external hard drive then I like the WD Passports. Ok, who doesn’t love a cute new camera strap? Seriously there are so many awesome camera straps out there! I love the Peak Design camera straps, but there are also cute leather ones, super cute floral ones, harnesses, wrist straps, and more! With today’s electronic world we all need more power. More batteries are always a good thing. I use my external battery pack for when I am backpacking and man it has been awesome. I have an Anker Battery Pack, but there really are so many out there. Alright, let’s chat coffee for a minute. First of all, coffee is life. Second, all moms love coffee mugs. Third, all moms need coffee, it is their GO JUICE. p.s. I sell fun photography coffee mugs right here on this site! BONUS! Again, a bit of a tricky one, but if your ladyhas been talking about needing a new bag then this is perfect. If she doesn’t have one, then even better! I just recently changed my bag to this Pro Master bag and I am obsessed! I absolutely love it. Ok, so this is one of the best things ever! We are always learning but rarely feeling like we should spend the money on ourselves to actually learn. Online courses are amazing for this! You can take the course whenever you want to and you have it forever! How awesome is that? Now, the other side of this is a Workshop. Workshops are an awesome place to meet other like minded people. You get to learn from the pros, you get to meet amazing people, and you get to expand your portfolio. Winning! There are so many cool workshops and online courses out there! Umm, new gear? Yes Please! So a new lens is pretty much the best thing every. You really have to pay attention to what your lady needs as far as lenses are concerned, but if you know the lens she wants and you get it for her, she will love you FOREVER! If your lady is just starting out in photography there are a few lens’ that I would recommend. For Portraits: a 50mm is a must. I love the Sigma Art 50mm. For landscapes: a wide angle hands down. I love the Batis 18mm. 11. Go all out with a Drone!!! Ok, if you want to go all out, this is it. The mother of all photography gifts. A drone. Yep, I still don’t have one, and I still am dying to get one. So there are so many options out there for drones how do you know which one to buy? Well, I have a couple that I have been looking at, but I would say choose something from the DJI Pro series. Make sure to do your research before you purchase. Now this can be a no cost present and can be an amazing gift! Mama’s are busy and photog mamas are crazy busy. They have pretty much ZERO time for themselves. It would be awesome to give the gift of a day off. A where she can do whatever she wants. She can shop, hang out with her girls, or just lay in the sun and sip on a glass of wine. You have to do this one right though. This means taking the kids out. Letting her have a complete day to herself. The other idea that goes along with the day off would be to get her a Spa Day. Get her a manicure, pedicure, and a message (or just one of the above). Buy her a Starbucks gift card along with it and tell her how much you appreciate her. BOOM award for the best hubby goes to!!!!!! Along with the idea above for a day off and/or a spa day. You could also get her self care stuff such as bath balms, bath salts, face masks, hair masks, lotion, and so forth. Basically an in home spa day! Ok so how cool would this be…. Buy a basket and fill it with a Coffee mug from my BYP shop. In that coffee mug place a $10 gift card to her favorite coffee shop. Then fill the basket with 2 face masks ($1 each), 2 hair masks ($5 each), 2 bath balms ($2 each), and dove chocolate! Ugh, again BEST HUBBY AWARD! 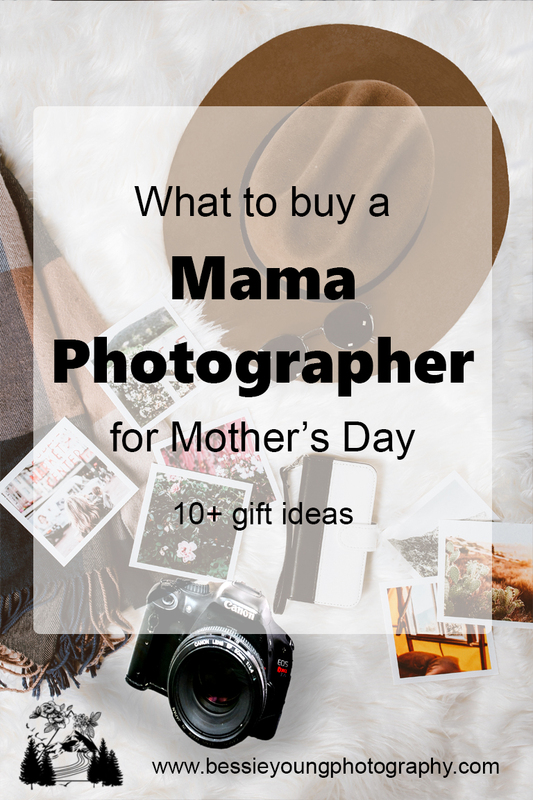 Wow, now that was alot of Photography Gift Ideas! Do you have any suggestions on awesome photography gift ideas for that man in your life? Please leave your recommendation in the comments below.